How can you reach an enthusiastic young sports fan-particularly boys-with biblical truth? 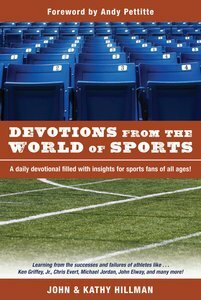 Try this daily devotional that is full of sports history, heroes, and anecdotes that direct teen readers to scriptural principles. About "Devotions From the World of Sports"